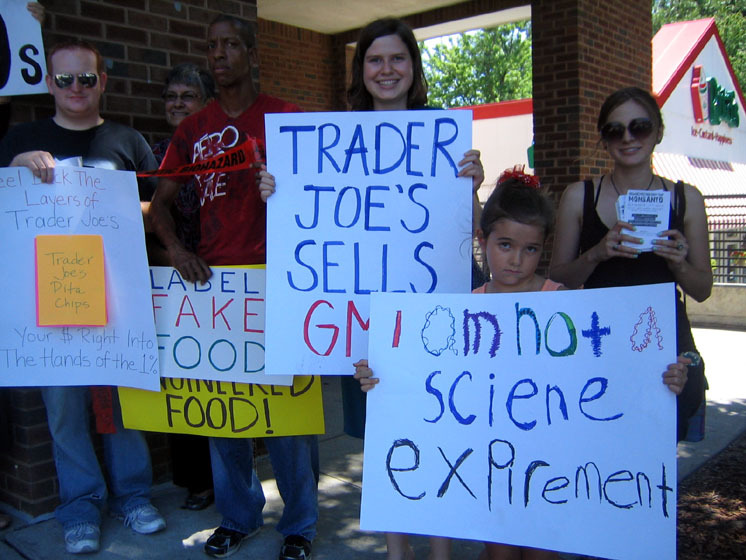 It’s time to expose Trader Joe’s GMOs! 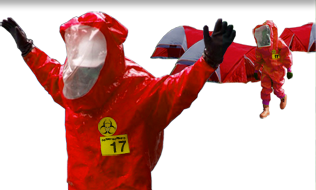 The fact is no supermarket in America is immune to genetic contamination. Some grocers & natural food stores work with their customers to prevent this ghastly invasion of our food supply. Trader Joe’s simply says "Be assured." Our customers can be assured that all products in Trader Joe’s private label are sourced from non-genetically modified ingredients. Our efforts began in 2001, when we determined that, given a choice, our customers would prefer to eat foods and beverages made without the use of genetically engineered ingredients. Our process has been to identify any product containing ingredients that could potentially be derived from genetically engineered crops and work with our suppliers to replace offending ingredients with acceptable alternatives. So what assurances do we really have? According to Fortune’s "Inside the secret world of Trader Joe’s" article from 2010, Trader GMOs private label brands are made by companies who regularly use GMOs in their products. We also know that TJ’s parent company, Aldi, uses GMO ingredients in their low-cost food products throughout America. 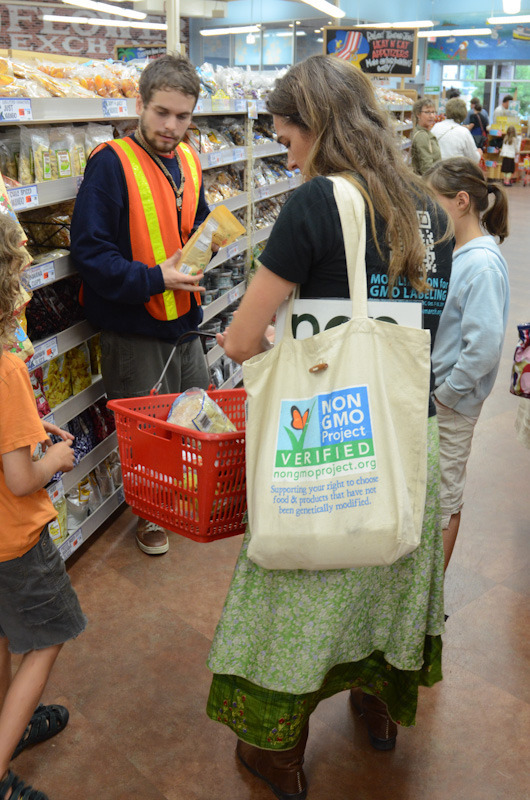 Trader Joe’s does not have any sort of standard or system in place, nor does it perform any testing for GMOs. 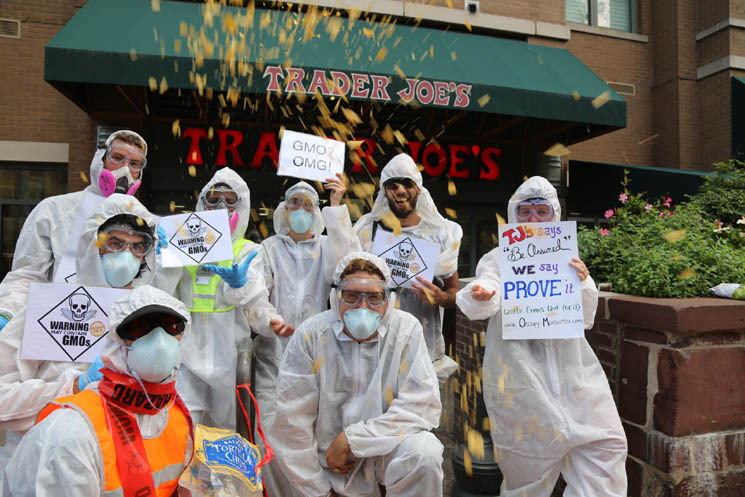 Unless Trader Joe’s can provide proof that their private label brands are free of Monsanto’s GMOs, the genetic contamination at their stores will be exposed by local Genetic Crimes Units throughout America during the last weekend in July. Shopping for Truth at Trader Joe’s will take place on Saturday & Sunday, July 28 & 29, 2012 at Trader Joe’s stores throughout the United States of America. 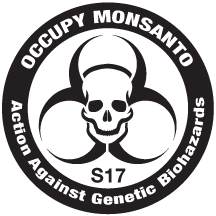 If your Genetic Crimes Unit is interested in taking part please email incident@Occupy-Monsanto.com with the Time, Date, & Location and we’ll add it to the listing. 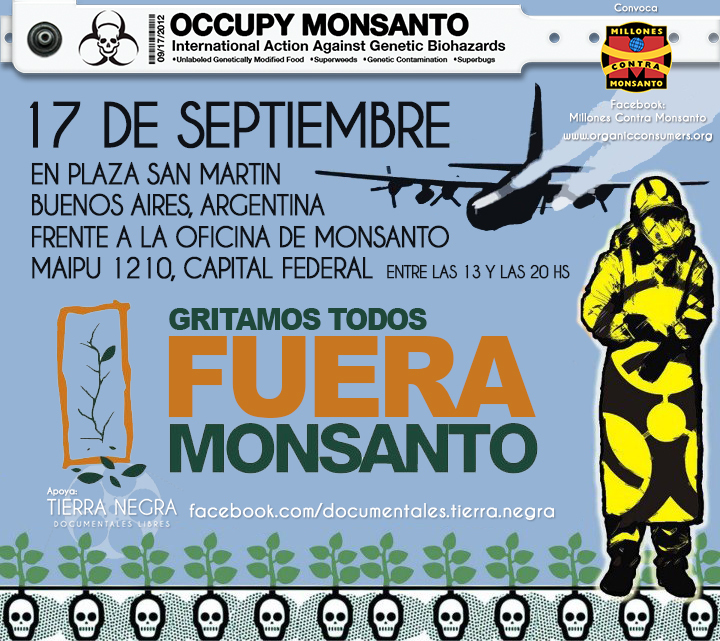 This is a great opportunity to recruit members for your Genetic Crimes Unit and inform people in your community about the global week action against Monsanto in September. Be sure to take photos & video while you shop for the truth. 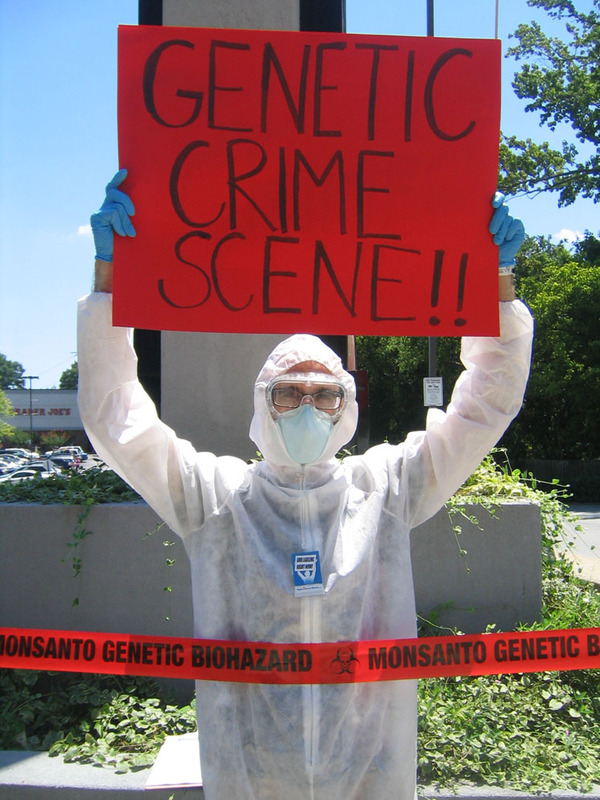 The methods of exposing Monsanto’s mutilated genetics will vary. Some stores may get the Label It Yourself treatment, other stores will see genetic crime scene tape unfurled in front of the store. Some stores will be enlivened with scenes of street theater and flash mob dance crews. How to shop for the truth is up to you & your GCU. Trader Joe’s has hundreds of locations throughout the United States to choose from, but if there isn’t one nearby, consider making a visit to your nearest chain grocery store. We’re heading to the Trader Joe’s located at 1101 25th Street, NW, Washington, DC 20037 and we’re going to be shopping for some truth. We hope you’ll join us.